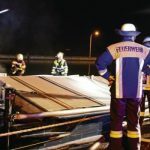 The 86 meter long self-propelled barge Bon Voyage caught fire on the Main-Donau Canal near Riedenburg, Germany. 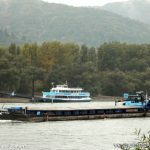 The Bon Voyage was headed to Riedenburg from Ludwigshafen with 1100 tons of fertilizers when smoke appeared from the bow. 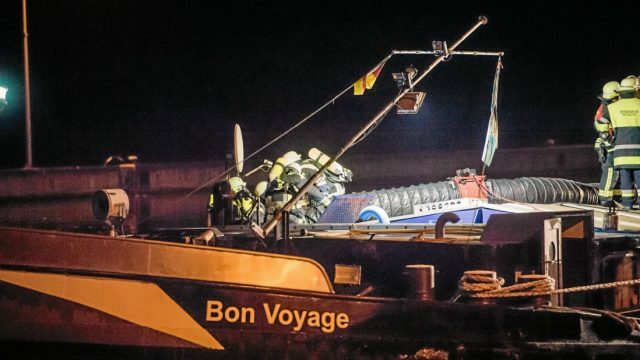 An electrical short had started a blaze in the bow thrusters engine room. The two crew on board attempted to extinguish the fire, but were unable to stop it due to the dense smoke. Local fire brigades from Riedenburg and surrounding area were requested and arrived on scene a short time later. They were able to extinguish the blaze and ventilate the compartment. No reports of injuries. 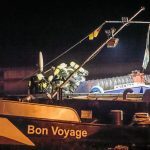 The water police detained the Bon Voyage while it investigated the incident. 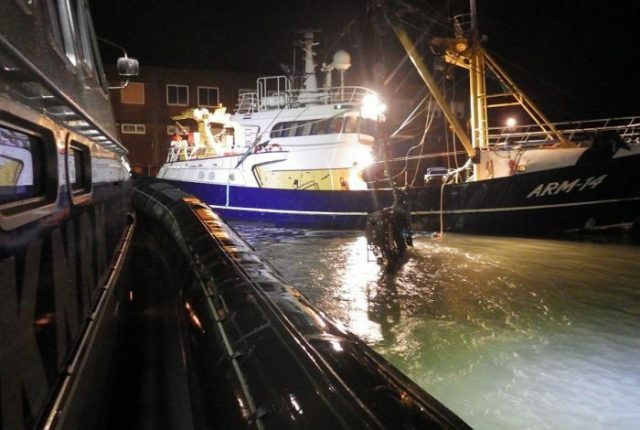 The 22 meter long fishing vessel Grietje Gertruida – ARM 14 became disabled off Breskens, Netherlands. 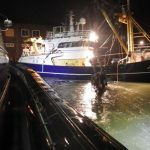 The vessel suffered a mechanical fault which prevented it to recover the fishing gear, but the Grietje Gertruida still had propulsion. The Grietje Gertruida proceeded to head back towards Breskens with its gear still lowered. As the vessel approached the harbour, it requested assistance. 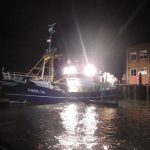 The KNRM lifeboat was dispatched and assisted the Grietje Gertruida into port to its berth. No reports of injuries or pollution released. The 71 meter long, 400 dwt ro-ro passenger ferry Isola Di Capri allided with the 70 meter long, 572 dwt ro-ro passenger ferry Driade in Naples, Italy. The Isola Di Capri had dropped its mooring lines as it was ready to depart from Naples bound for Ischia when it was blasted by strong winds. The winds pushed the Isola Di Capri until it struck against the foreship of the Driade. 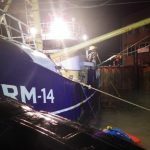 Both vessels sustained minor damage and were detained from leaving port until weather conditions had improved. No reports of injuries or pollution released.